Leading scientists from around the world will explore the most promising detector technologies for astronomy as part of the “Detector Virtual Workshop,” hosted by Rochester Institute of Technology’s Center for Detectors. The workshop, funded by a grant from the National Science Foundation, will focus on future ultraviolet, optical and infrared detectors by bringing together the community of scientists working to advance these technologies. The goal of the workshop series is to increase interdisciplinary opportunities, enhance interactions between academia, industry, and government, and provide students with professional networking opportunities. 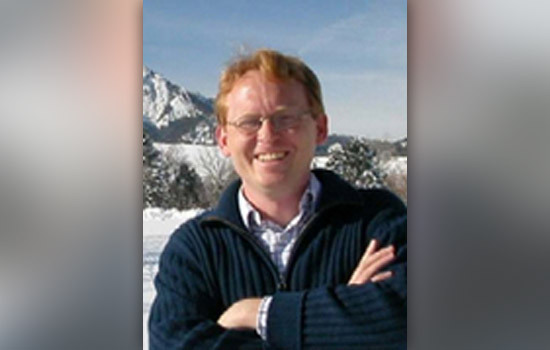 Robert Hadfield, professor of physics at Heriot-Watt University in Edinburgh, Scotland, will present “Infrared Superconducting Single Photon Detectors” as the inaugural talk in the Detector Virtual Workshop at 1 p.m. Sept. 28 in the Carlson Auditorium. Hadfield leads a growing research group at Heriot-Watt, focusing on the development and applications of superconducting single photon detectors. Starting in October, twice-monthly talks in the workshop series will alternate between RIT and the speaker’s home institution. The virtual lectures will be accessible in real time through RIT’s Adobe Connect streaming audio/video facility. Individual presentations will be recorded and archived for later public use. RIT established the Center for Detectors in the College of Science in 2010 to advance the science and technology of photon sensors and broaden their applications. Upcoming speakers in the workshop series include Andy Shearer from the National University of Ireland, Karl Berggren from Massachusetts Institute of Technology, Alan Migdall from the National Institute of Standards and Technology, and Craig Mackay from University of Cambridge. Go to http://ridl.cfd.rit.edu for a full list of speakers and instructions for viewing the virtual workshops. To be included on the distribution list for talk announcements, or to propose a talk, contact Don Figer at figer@cfd.rit.edu.